Creative Digital IllustrationFusce nec iaculis risus. Phasellus nec sem sed tellus malesuada porttitor. Mauris scelerisque feugiat ante in vulputate. Nam sit amet ullamcorper tortor. Creative Digital IllustrationFusce nec iaculis risus. Phasellus nec sem sed tellus malesuada porttitor. Mauris scelerisque feugiat ante in vulputate. Nam sit amet ullamcorper tortor. Creative Digital IllustrationFusce nec iaculis risus. Phasellus nec sem sed tellus malesuada porttitor. Mauris scelerisque feugiat ante in vulputate. Nam sit amet ullamcorper tortor. Creative Digital IllustrationFusce nec iaculis risus. Phasellus nec sem sed tellus malesuada porttitor. Mauris scelerisque feugiat ante in vulputate. Nam sit amet ullamcorper tortor. Creative Digital IllustrationFusce nec iaculis risus. Phasellus nec sem sed tellus malesuada porttitor. Mauris scelerisque feugiat ante in vulputate. Nam sit amet ullamcorper tortor. 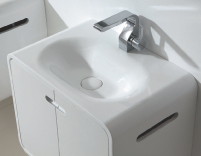 Browse through our simple and stylish products and bathroom ranges with innovative design. 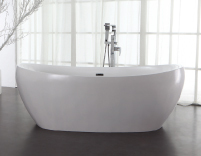 Take a look at our showroom for inspirational bathrooms that create a real sense of tranquility. Browse through or download our virtual online Austin Bathrooms brochure in full colour. 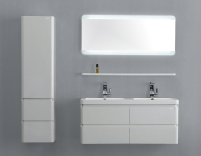 Find out all about Austin Bathrooms, our bathroom ranges and the materials we use. A long, luxurious soak in the bath. A zen-like space to indulge yourself. At Austin Bathrooms, we get how important it is to take time out. But why settle for something average? With our bathroom ranges, you can create your own haven of serenity with serious style credentials.